Thousands of cat-lovers and friends will be laughing aloud; as the internet's funniest cat videos are projected onto the Great Wall's 100'x100' urban canvas. The premiere of the highly-acclaimed and brand new CatVidFest curated by The Walker Art Center culminates the second annual Save a Kitten at OakCatVidFest, a day full of celebrating all things cats. The street festival is a cat-lover's wonderland with cats and kittens available for fostering and adoptions, cat-themed art projects and vendors, live bands and comedians, food and beverage and even celebrity cats. 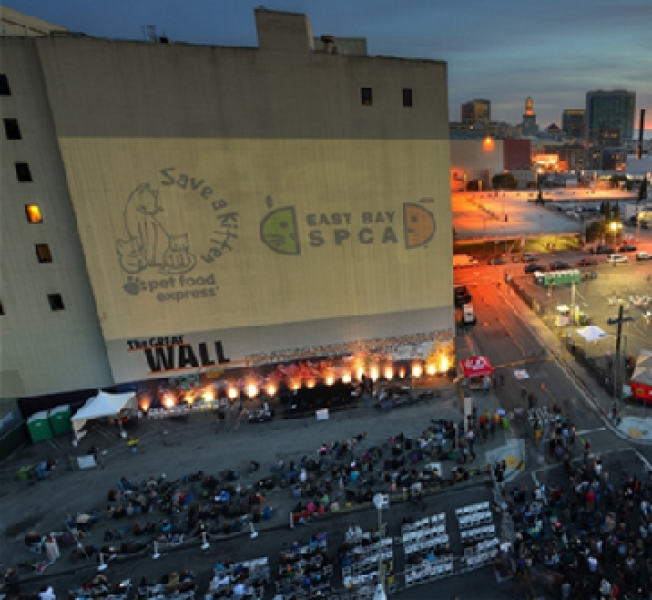 The event benefits the East Bay SPCA and other rescues.